Car boots: a trader’s dream or nightmare? Getting up at 5am is never a good thing, but car boots are an area of business often ignored. 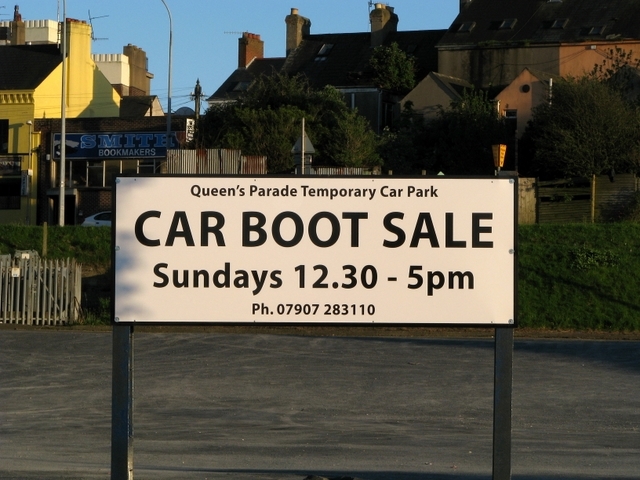 We look at whether car boots could increase your profits. Car boots were introduced as a way to clear out junk from your loft or home. People would turn up early, brave the cold and camp out in a field with their personal possessions available for next to nothing. However traders started to realise they could buy treasures for pittance from unsuspecting sellers and it became a haven for dealers and business people. Remember, this is before shows such as Cash in the Attic, Bargain Hunt and Car booty. People were not as savvy as they are now. These dealers and traders inevitably started their own car boot stalls, grabbing all the bargains in the early hours and selling for a profit for the rest of the day. Over the years, we have now seen an increase of traders with professional stalls selling at car boots. So what is the attraction with car boots? •	For a small fee, you can reach the masses. Getting a regular pitch, similar to a market stall but for a less lot money, means you can start building up a regular group of customers. •	Varied customers. Compared to online retailing and a physical shop, you can meet all sorts of people and increase your sales. If you gain 5 more customers a week and they each recommend you to 5 people, within a few months you can be doing a roaring trade from car boots alone. •	Friendly atmosphere. With an online presence, you may never meet your customers. Face to face interaction is incredibly important if you want to build up long term relationships. •	Different stock. Car boots are a great way to shift stock that isn’t selling online or in your shop. What tips do you have for car boots? •	Have a look round your local car boots first. Judge what seems to be selling – the best way to do this is sit down with a coffee near the car park and watch what people are carrying to their cars. •	Try and get a good pitch and ask the organisers how much you can pay to secure it each week. Try a few spots out for a few weeks and see how you get on – being close to the toilets will guarantee a lot of passing trade but most will be desperate to get to the toilet and pass your stall without a glance. •	Think about pricing. Having prices on your stock can help you keep your profit high and prevent people from haggling. Try and do a 2 for X offer so people think they are getting a bargain. •	Take a varied stock for the first few weeks and get a feel of what people want. You can change your stock levels the following week. •	Take carrier bags and if possible get some printed with your details on. Many people forget to take bags and may ask for one – if you can promote your business whilst doing it, great! •	Put out notices or pictures of how much products go for in shops. One trader keeps the Argos catalogue on his stall so people can compare. Don’t let them go home and look – convert them into a sale there and then. •	Put down a dog bowl of water. If it is hot, the dogs will flock over and you can charm the owners into buying something! •	Sweets for the kids. Cheap Chupa Chups lollies work a treat or bubble gum. Whilst the kids are debating which flavour to buy, you can work your magic on the parents. •	Take business cards and flyers and hand them out to other stall owners. Never miss a marketing moment and you can get some insider information as you do it! •	Keep a record of all sales. The tax man will still need to know what you have sold and for how much. Look out for Part 2 of our car boot blog. Whats up very cool web site!! Man .. Excellent .. Wonderful .. I’ll bookmark your site and take the feeds additionally?I am happy to search out a lot of useful info right here in the put up, we’d like work out more strategies in this regard, thanks for sharing. . . . . .
We are a bunch of volunteers and starting a brand new scheme in our community. Your website offered us with useful information to work on. You have done a formidable job and our entire neighborhood can be thankful to you. I like the valuable information you provide on your articles. I’ll bookmark your weblog and test once more here frequently. I am slightly sure I’ll learn many new stuff proper right here! Best of luck for the next! Great task publishing Car boots: a traderâ€™s dream or nightmare? | Wholesale Clearance UK Blog. I’d like to learn more about this subject.